Amici Di Pensare Cristiano Association has given Fr. 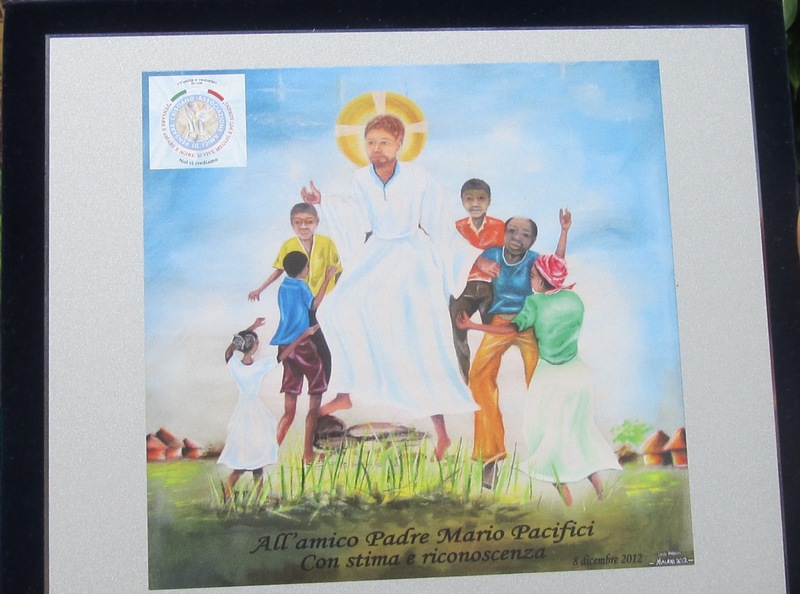 Mario Pacifici a beautiful painting of the risen Jesus celebrating with the people. Com. Francesco Maffeis is the president of the association. 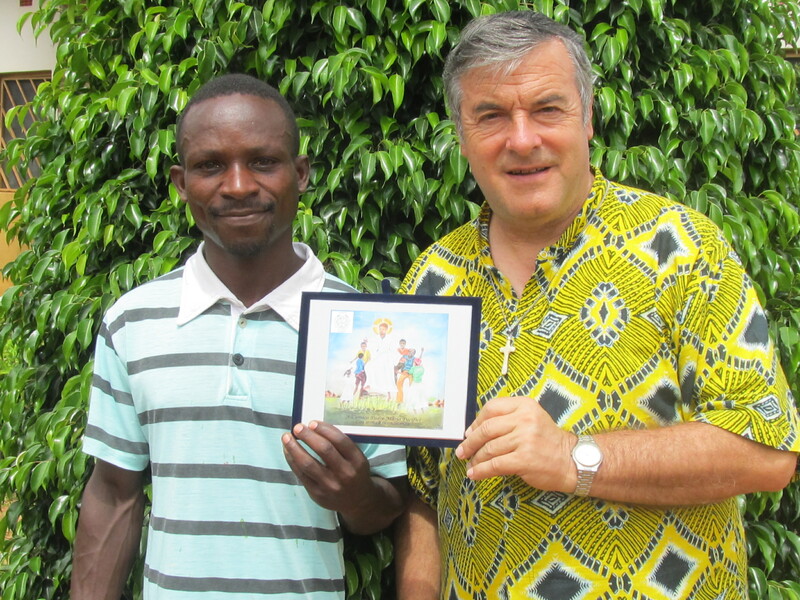 Dave Pabros, a resident of mponda village, who works with Andiamo Youth Cooperative Trust, artistically did the painting. The association framed it in silver lining and looks more beautiful. Fr. Mario is quite jubilant for this timely gift that despite its beauty the portrait portrays hope for joy in this Easter season. This entry was posted in News from Malawi, Social Development and tagged Amici Di Pensare Cristiano Asociation, Com. Francesco Maffeis, Dave Pabros, Fr.Mario Pacifici, Harry Pongolani. Bookmark the permalink.